"Discover over 5,000 years of history with Ancient High Kings, Vikings, Sacred Sites and much more." 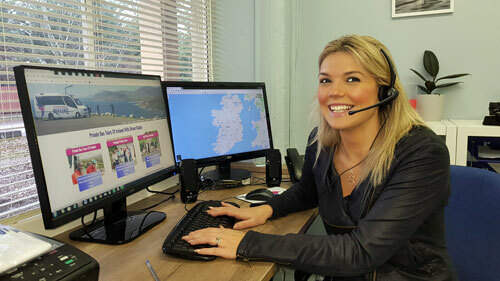 Begin your tour of Ancient Ireland in Wicklow known as "The Garden of Ireland". 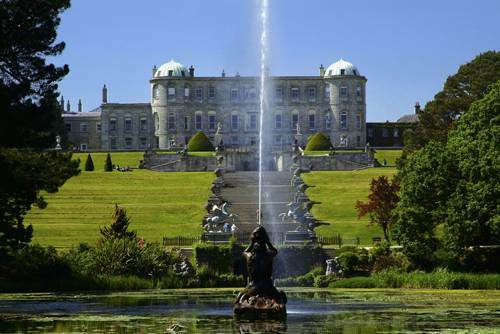 Here at the large country estate of Powerscourt House & Gardens, you will have ample time to explore the 47 acres of gardens and meander through the charismatic stores in Powerscourt House or indulge yourself at the delicious Avoca Terrace Cafe. Next, we will journey our way through the serene Wicklow countryside on our way to the 6th century monastic settlement of Glendalough which is famous for its spectacular scenery, rich history and amazing archaeology. Take a stroll around the ancient town of Wexford, here you can chat with locals over a coffee or visit Selskar Abbey where the first Anglo-Irish treaty was signed in 1172. After lunch, we will step back in time to the 1840s on The Dunbrody Famine Ship where you will learn of the hardship, bravery and fortitude of the Irish people during the Great Irish Famine. You will appreciate the guided tour by costumed performers and high-quality exhibits which give you an insight into what our ancestors experienced in these very difficult times. 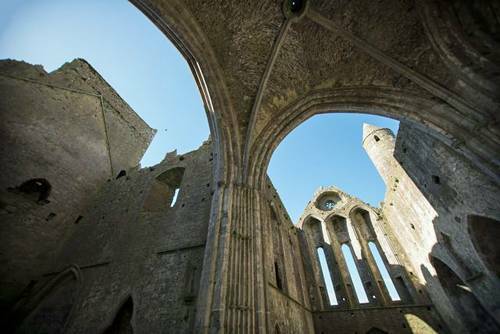 Start the day by exploring the awesome ruins of the 12th century Cistercian Jerpoint Abbey. A guided tour through these extensive ruins will give you insights into the religious and political history of the time. Marvel at the sculptured cloister arcade with its unique carvings, the Romanesque church and tomb sculpture. Next, we will visit the city of Waterford, Ireland oldest city and also the home of the world-famous Waterford crystal whose origins dates back to 1783. Feel the heat of the blowing room, experience how moulds are made and learn how the famous Crystal is engraved. Fancy a tipple? Our first stop today is the market town of Midleton to partake in a guided tour of the Jameson Whiskey Distillery to learn the engaging story of this world-renowned liquor and also see the microdistillery. Best of all you get a chance to sample this fine Irish whiskey. 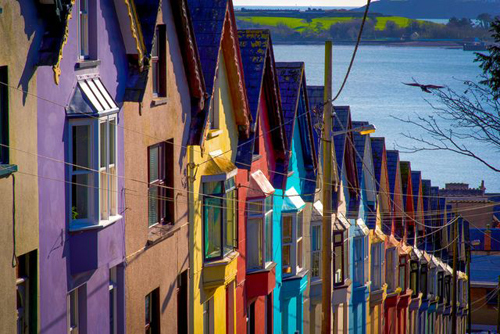 The island town of Cobh (pronounced Cove) is our next port of call where you will tread the same path as 1.5 million people who emigrated from here during the Famine times and onwards. Visit the Old Chuch Graveyard where 193 victims of the torpedoed Lusitania were buried in 3 mass graves. Explore the impressive neo-gothic St. Colemans Cathedral overlooking the splendid harbour and learn about the extraordinary maritime history of this port town. Find out about Q Boats, The Gorgeous Gael, Laurel & Hardy and the name Queenstown while you are here! Pucker up! Today is the day you get to Kiss the legendary Blarney Stone. Don't forget to take time to enjoy the amazing gardens before strolling over to the famous Blarney Woolen Mills, the world's largest Irish gift shop. 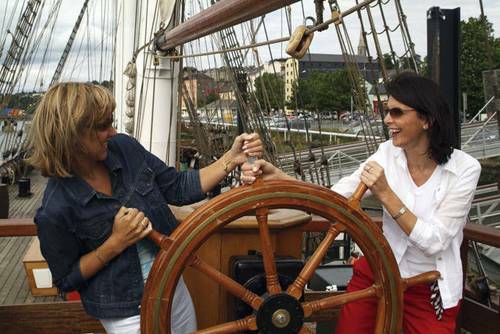 Enjoy the sights with a driving tour through Cork City taking, The Shandon Bells, English Market, University College Cork and much more. For your last stop, we will visit the 16th century Charles Fort for a 15-minute photo-op to capture the stunning views and learn of its fascinating history. Then on to the charming village of Kinsale for a delicious pub lunch. The Rock of Cashel or also known as Cashel of the Kings is a unique site which is home to a 12th century Round Tower and Chapel plus a 13th-century Cathedral. Then we journey on to the medieval city of Kilkenny, known as the Marble City. It is steeped in history which is instantly visible in its cobbled streets and historical buildings. Take a stroll down the medieval mile and marvel at St. Canices Cathedral & Round Tower, Rothe House & Garden, The Black Abbey and much more. Finish up at the famous Kyteler’s Inn for a great lunch. First stop today is the focal point of this Medieval city the magnificent Kilkenny Castle built by William Marshal in 1146. After a relaxed lunch in one of the many delicious cafes and restaurants ,we will experience the tour of the world-renowned Kildare National Stud and the stunning Japanese Gardens. Here you will be taken through the history of Ireland's world-famous thoroughbred industry. Visit the renowned gardens which were laid out by a Japanese master horticulturist. After this, relax and we will transport you back to your hotel or airport with a lifetime of memories.